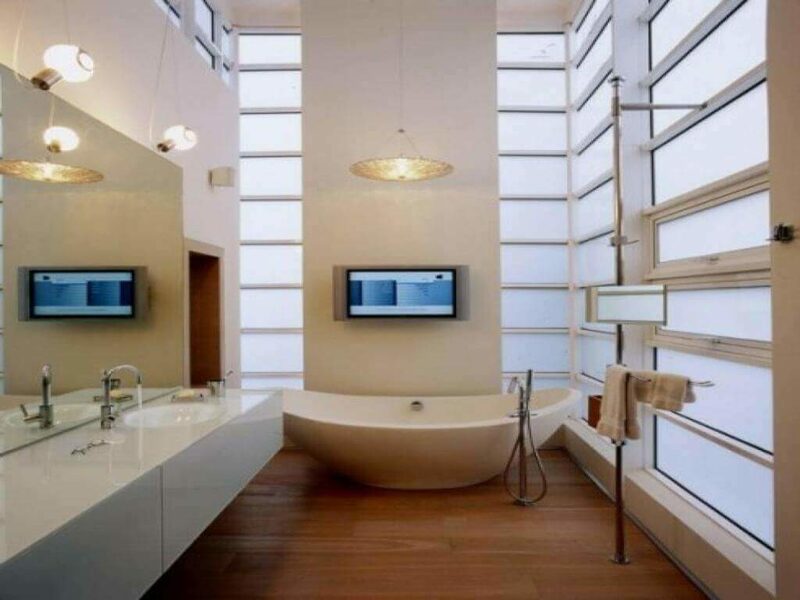 The bathroom is the most reserved space in the house. 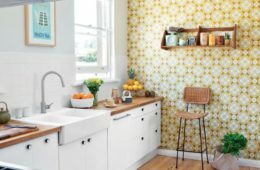 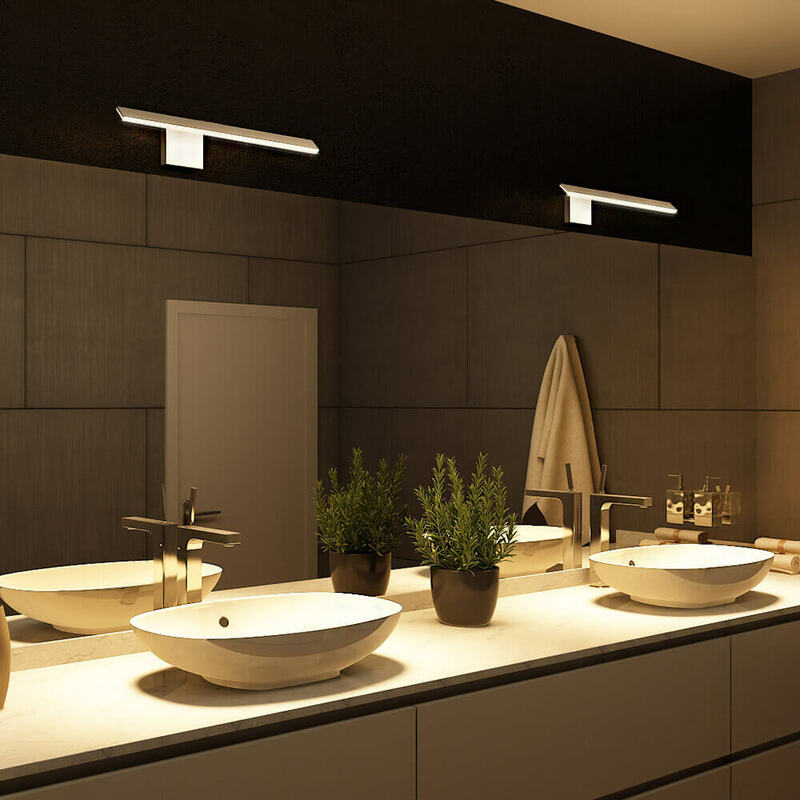 It needs to be observed while selecting the Bathroom lighting fixture, which can illuminate the darkest corner of the bathroom. 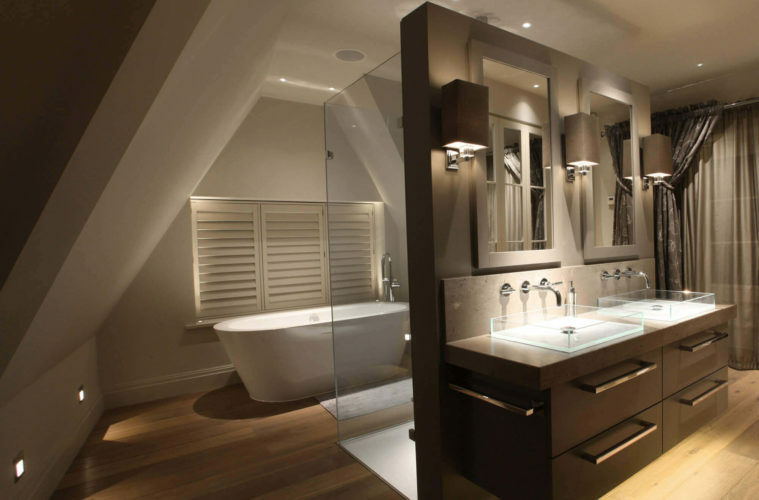 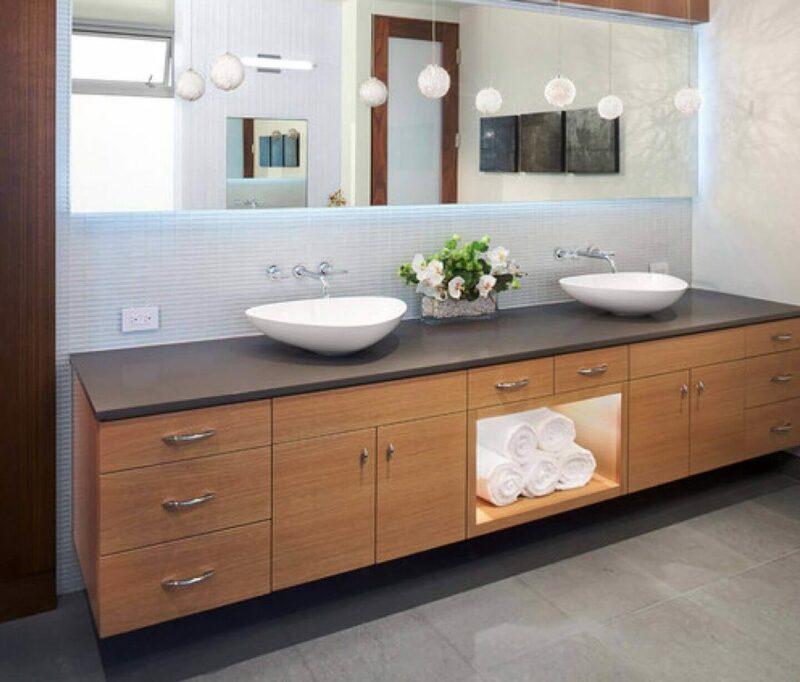 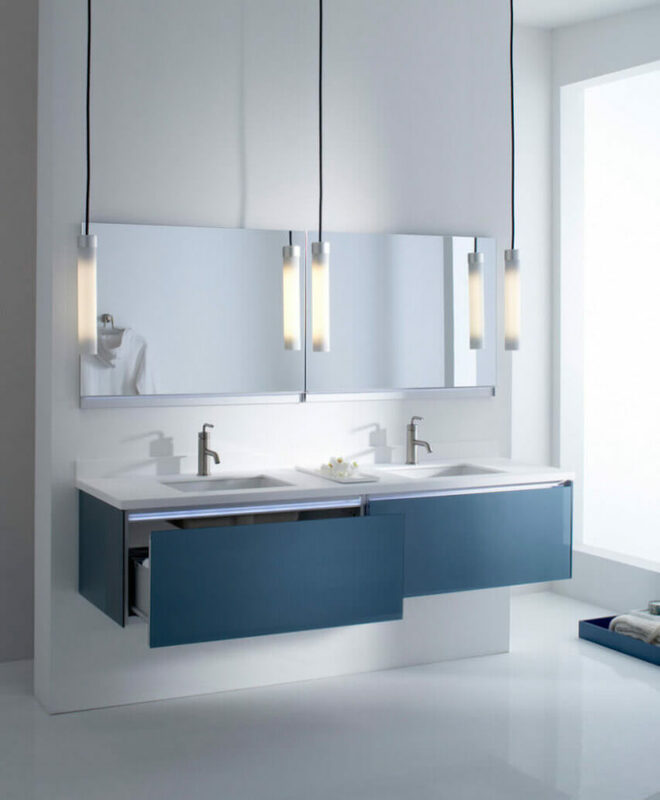 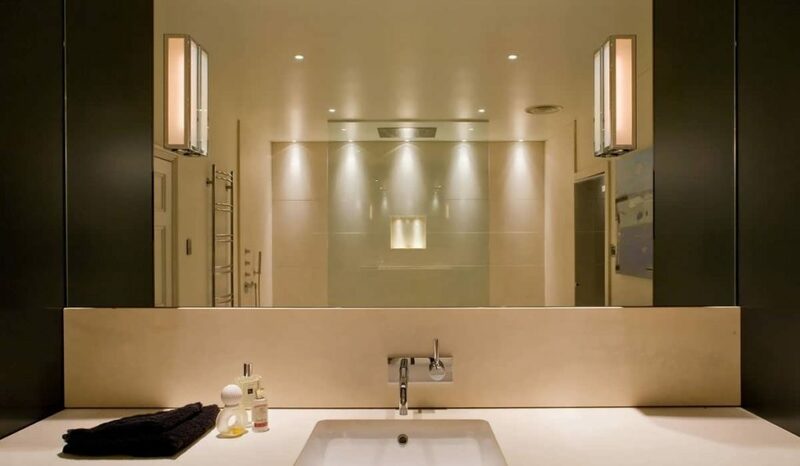 Bathroom lights create the sparkling, shining appearance and help to utilized all the area in the bathroom. 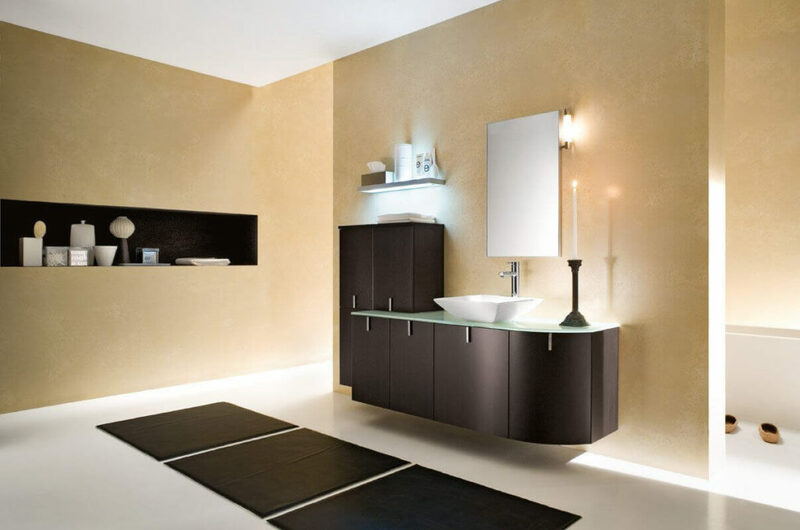 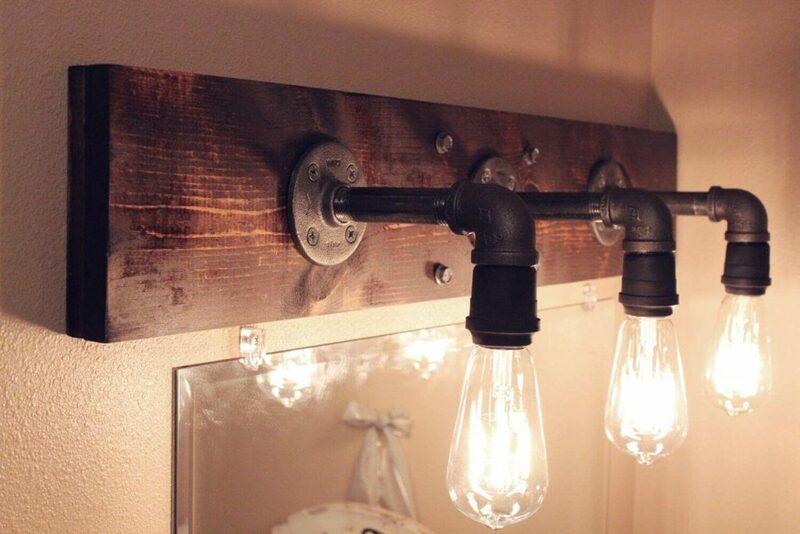 There are many creative and decorative bathroom light idea. 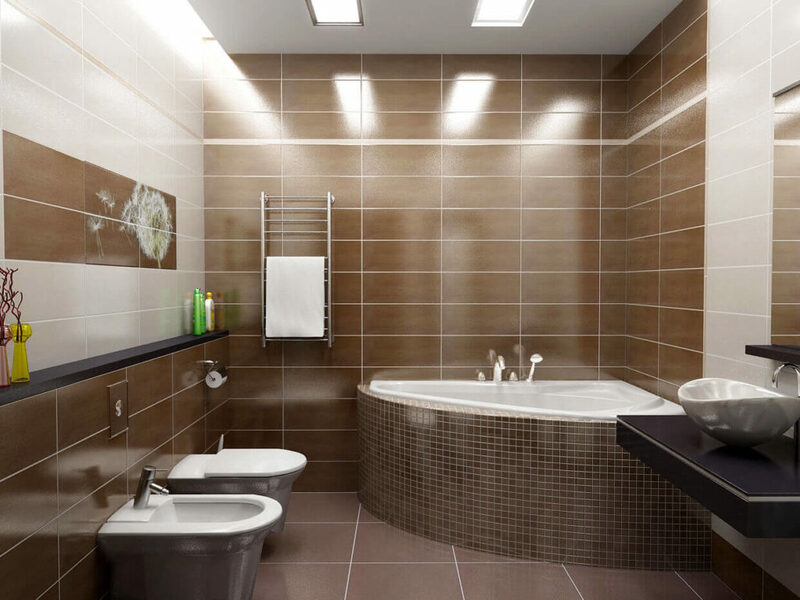 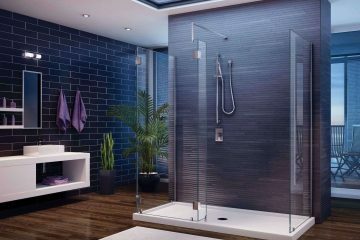 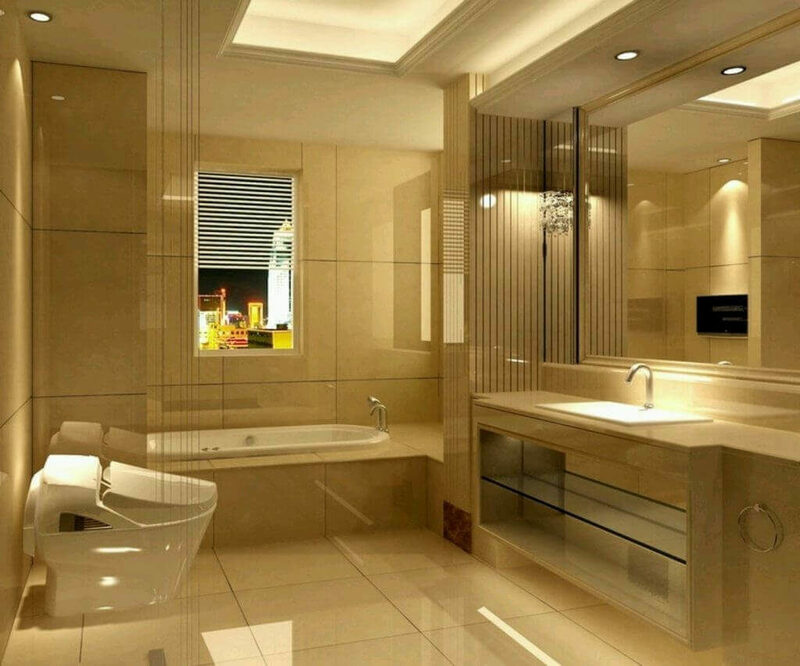 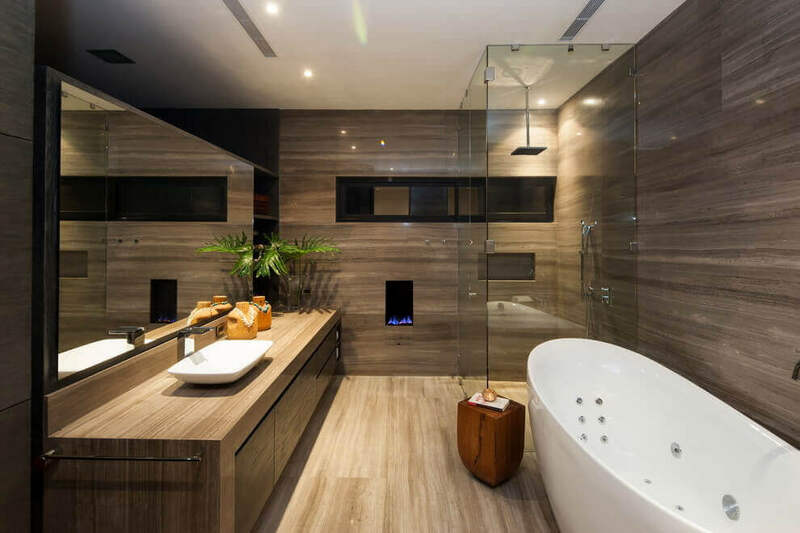 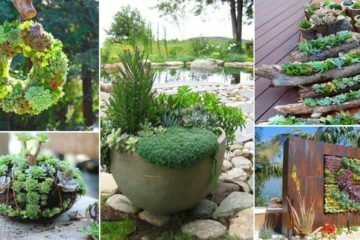 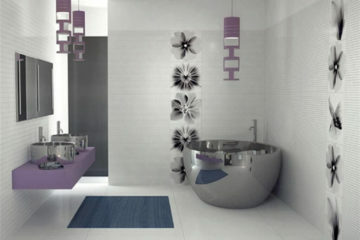 The bathroom can be subdivided into different parts such as Tub area, Vanity area, Shower zone and toilet place. 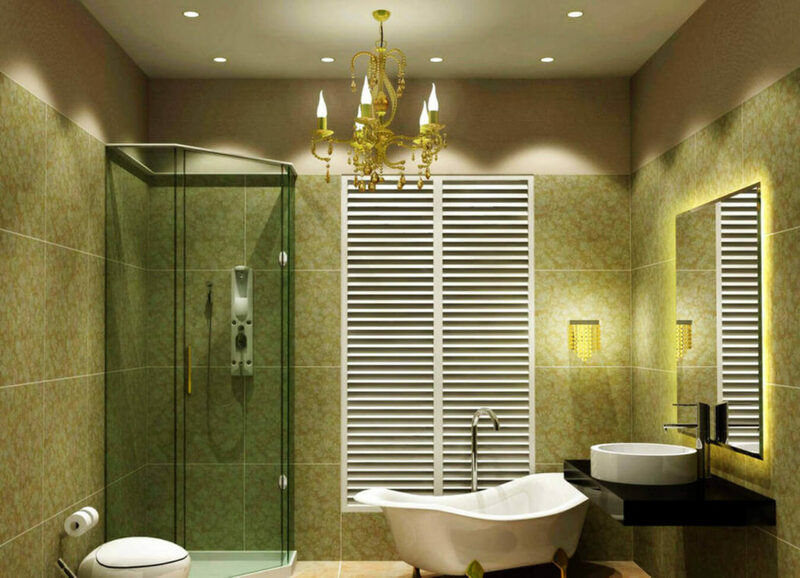 Décor idea for the tub area is using crystal chandelier for illuminating the centre portion. 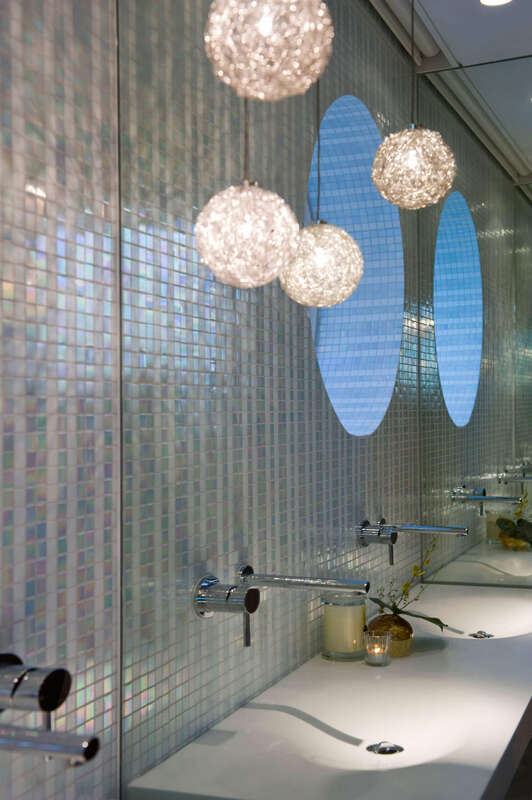 A small and beautiful chandelier gives a fairy tales appeal to the bathroom. 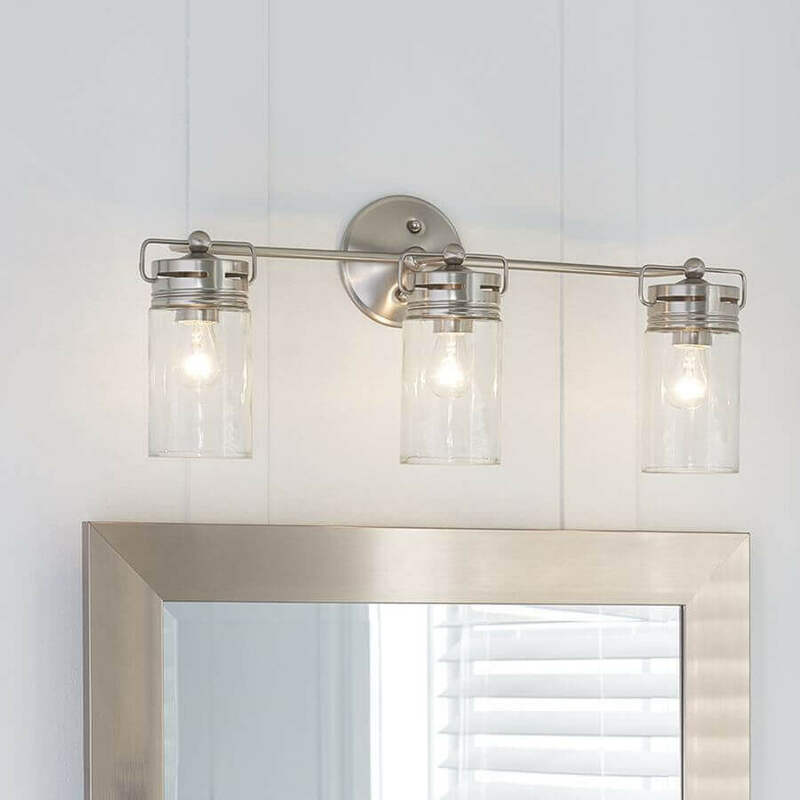 Pendant type chandeliers are popular in the modern bathroom set up. 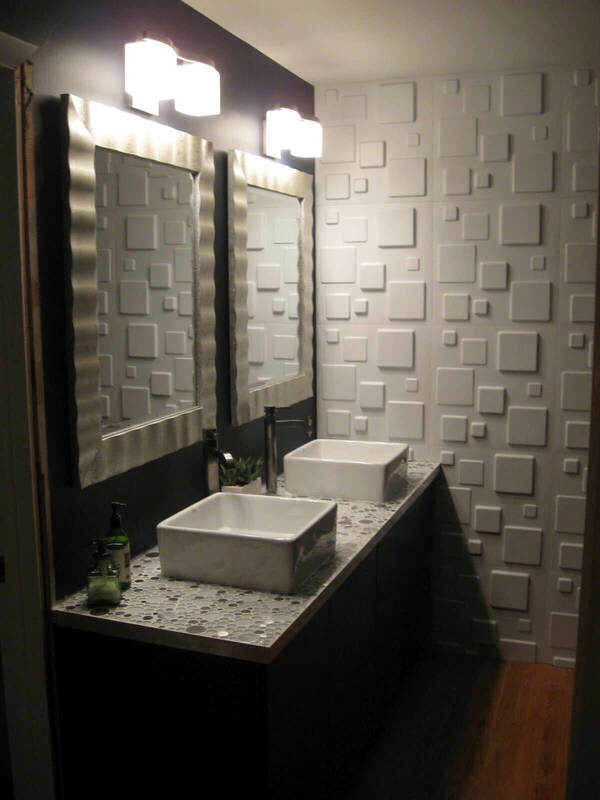 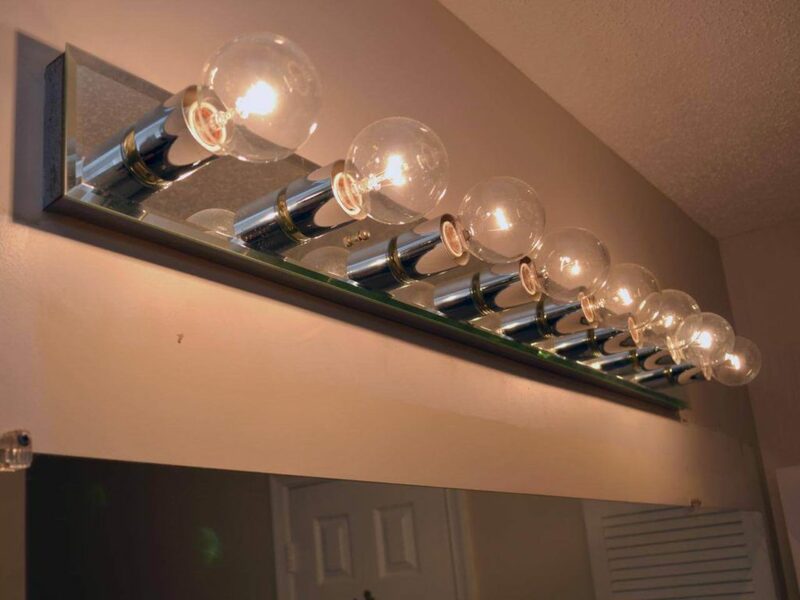 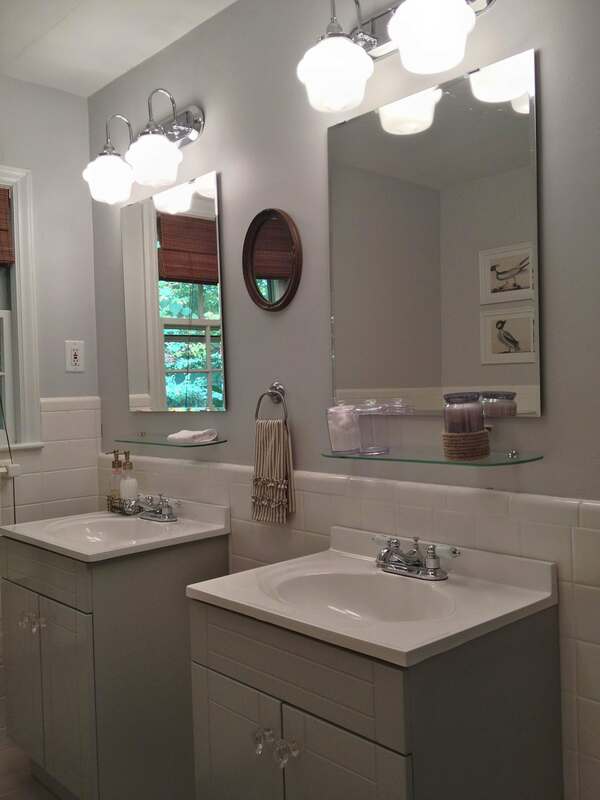 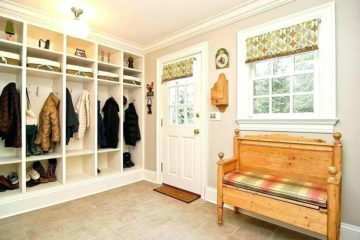 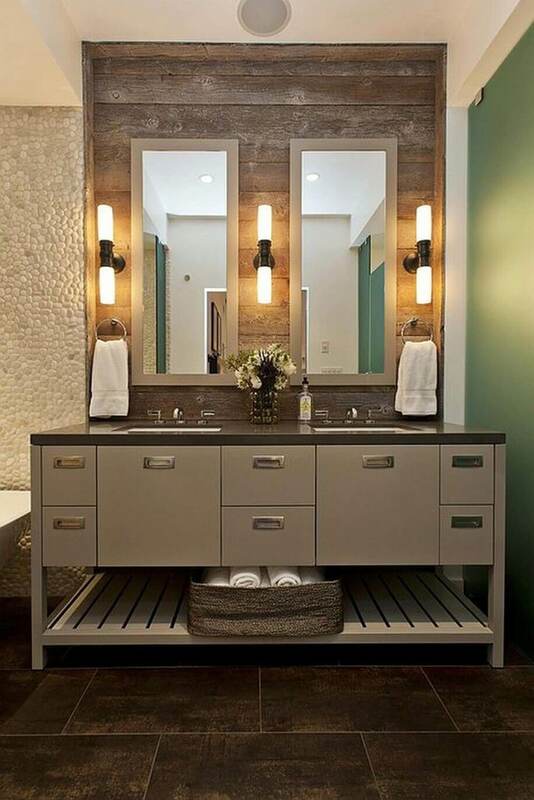 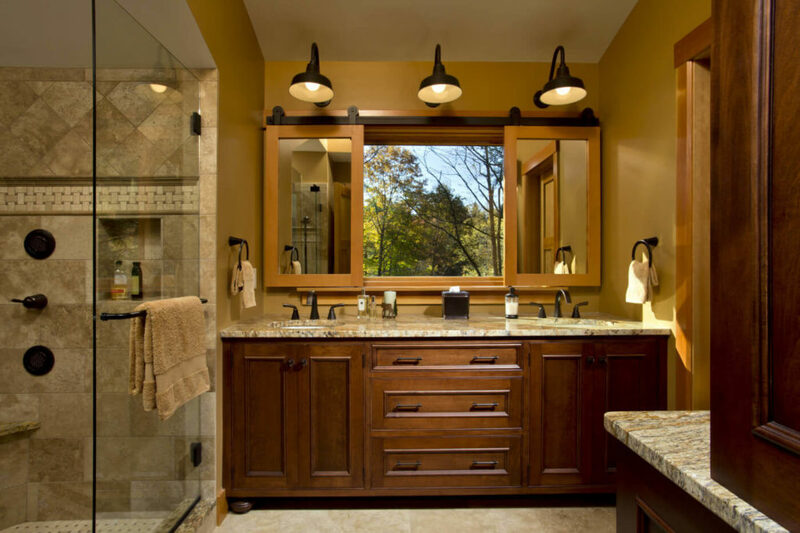 A Vanity area can be designed in a cottage style bathroom, adding a pair of mirror sconces or bar style vanity light to the top of the vanity mirror. 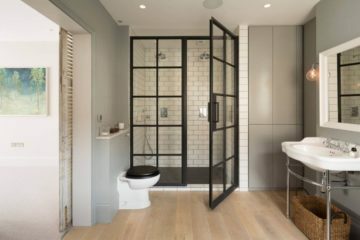 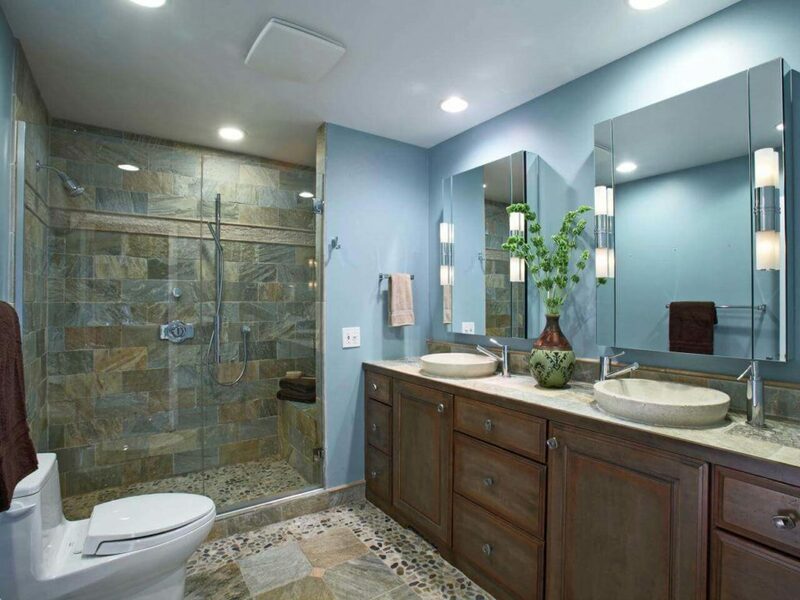 Use a big mirror to reflect the light all around the bathroom. 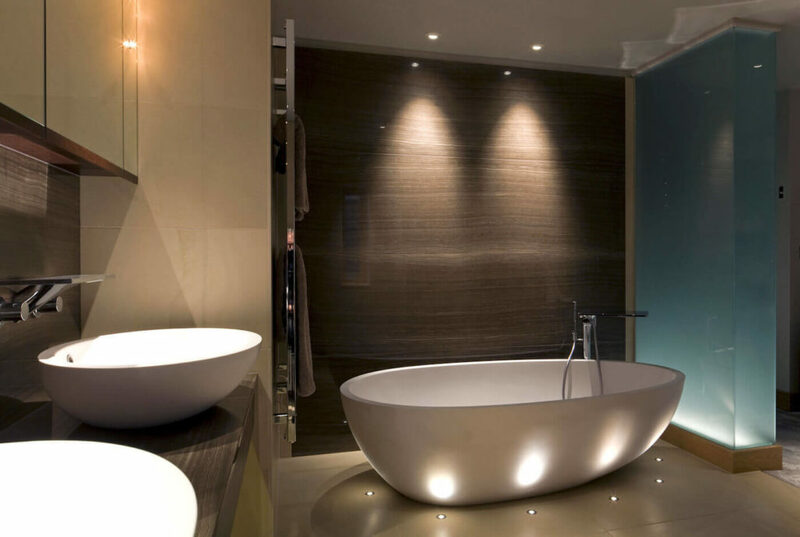 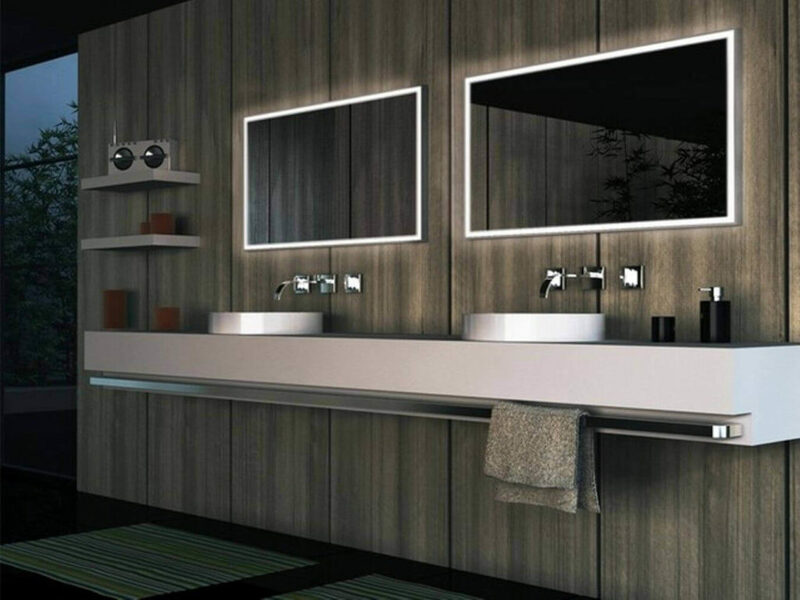 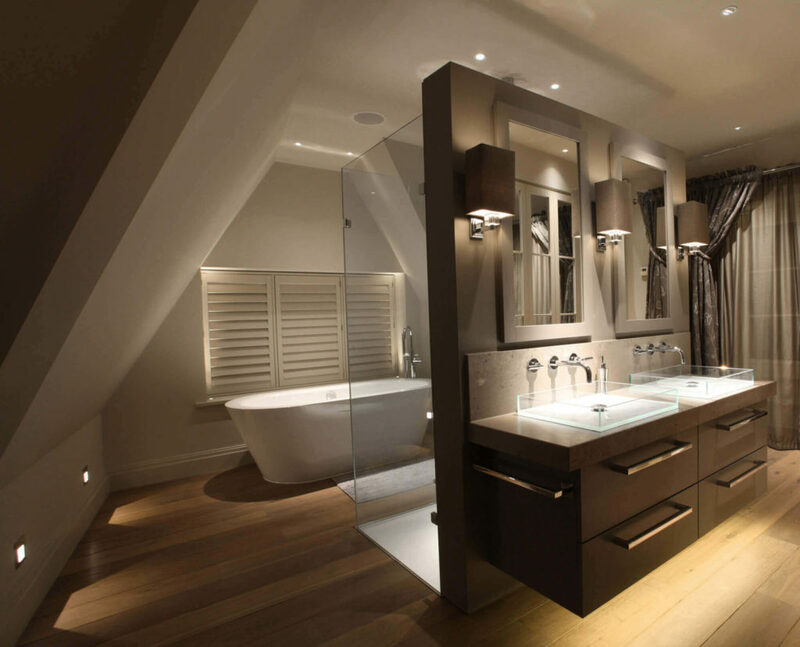 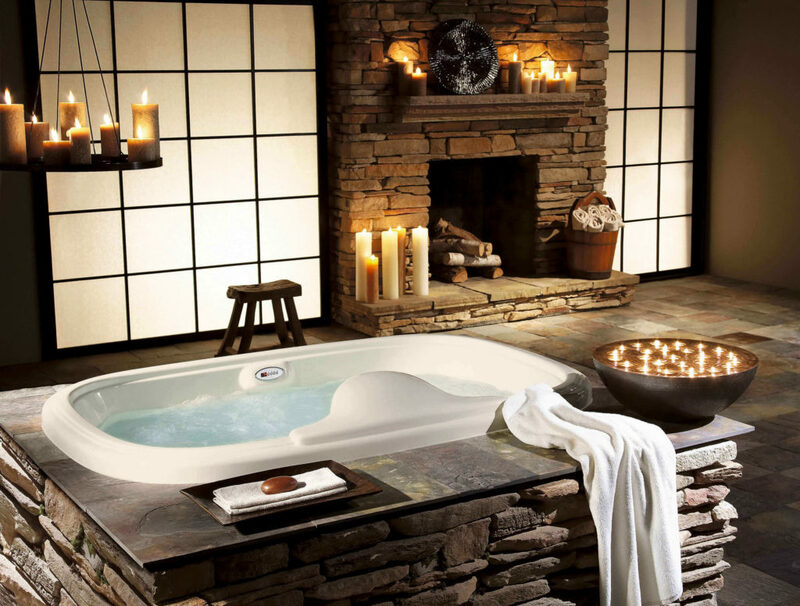 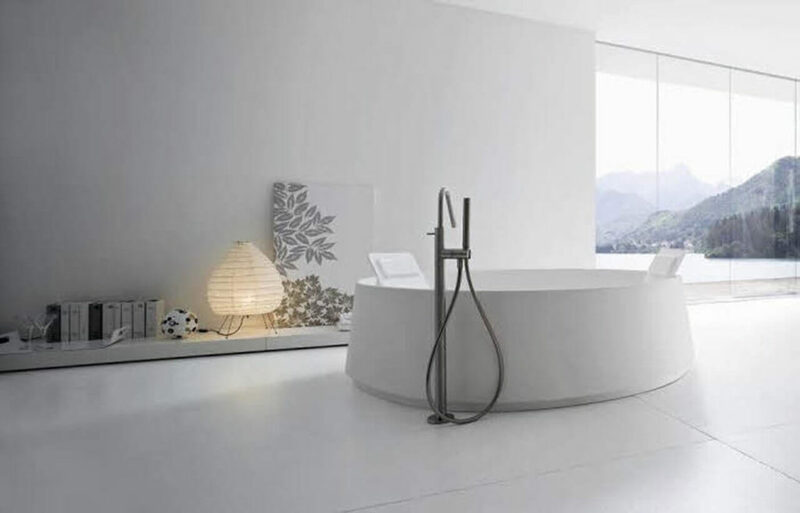 Cross lighting is in the fashion, which provides a smart and aristocratic style for the modern bathroom light ideas. 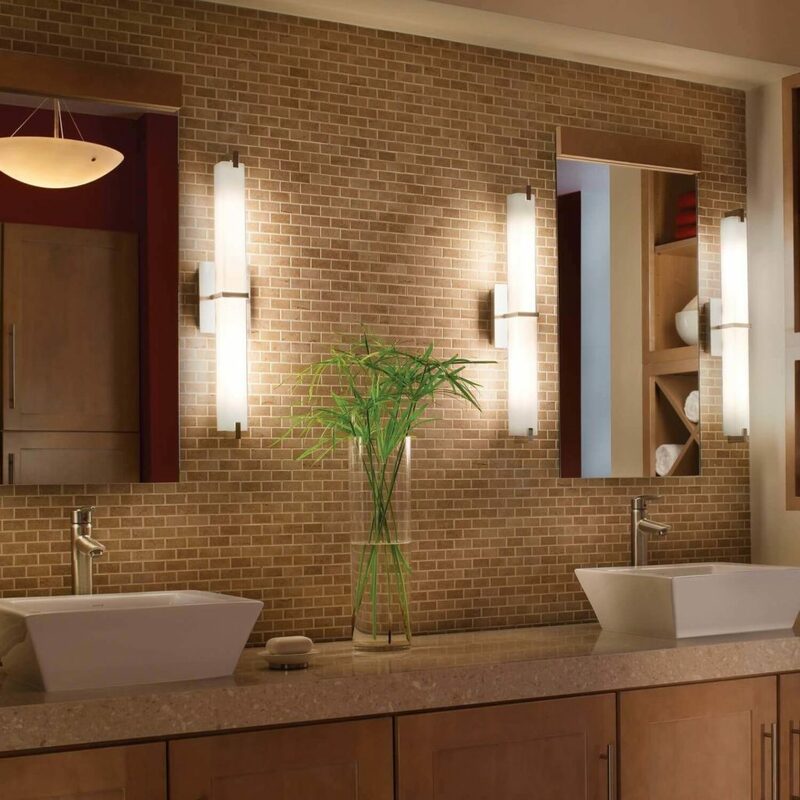 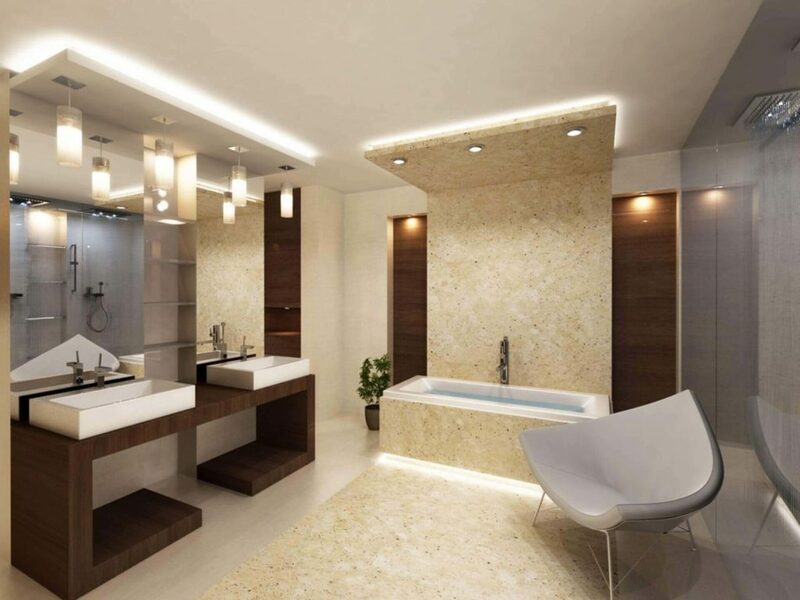 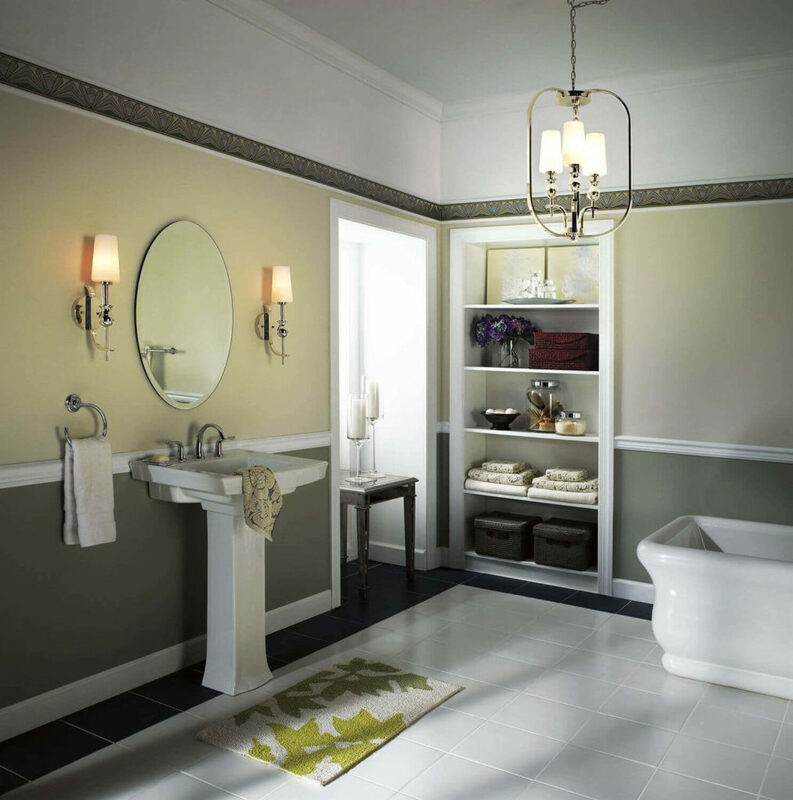 Low voltage consumption LED lights is the best economical option for illuminating the bathroom. 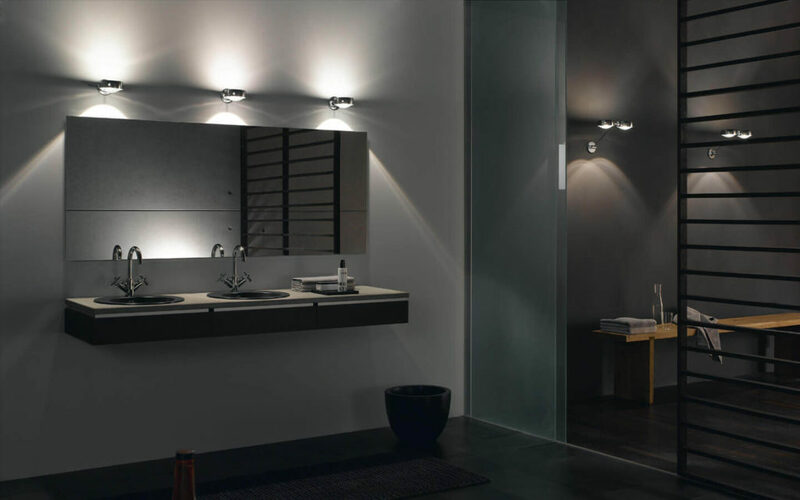 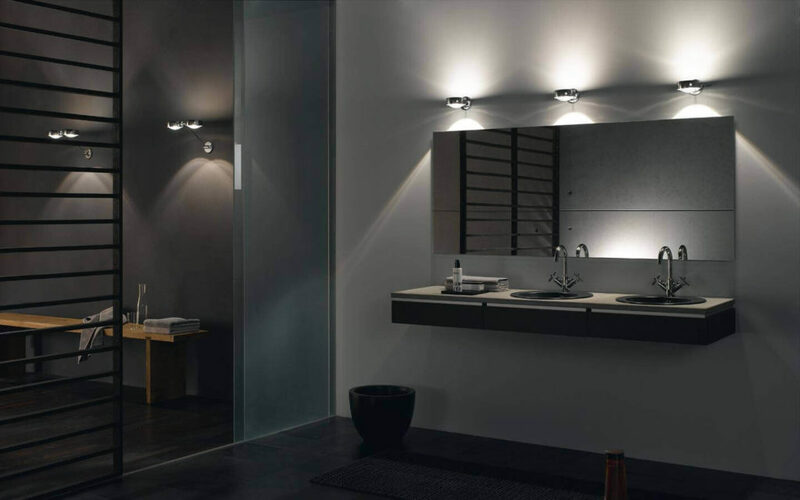 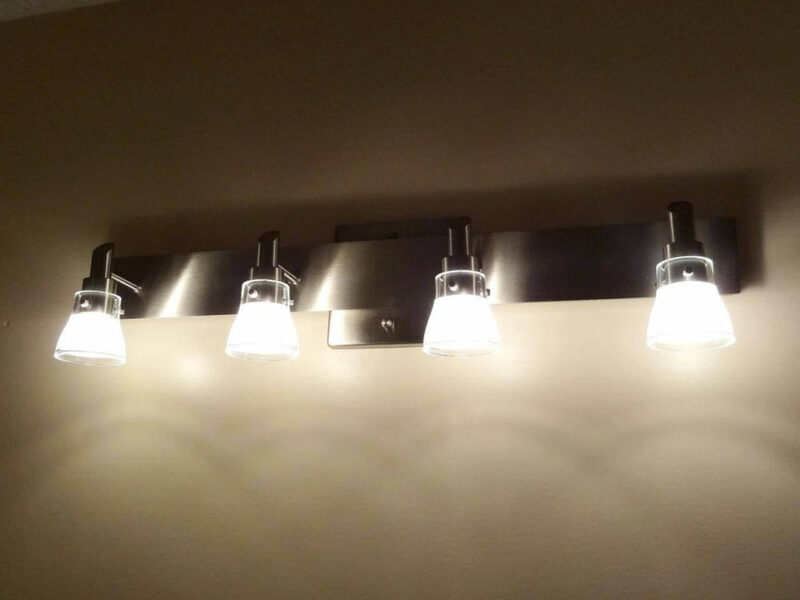 This LED light provides sufficient light and adds brightness in the restroom. 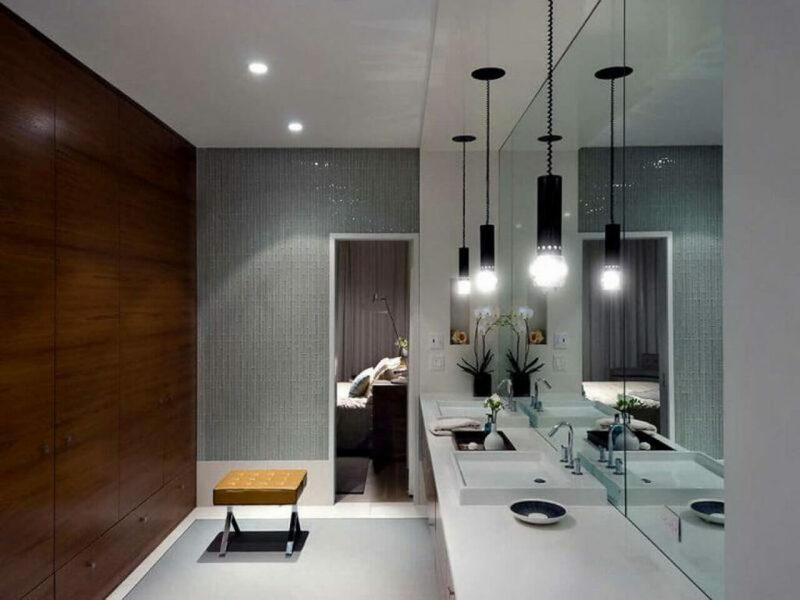 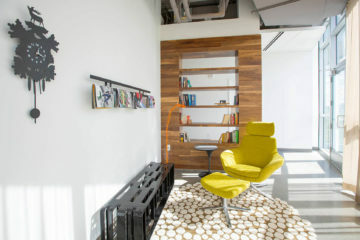 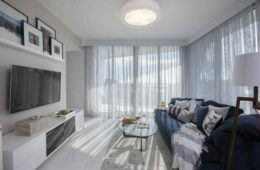 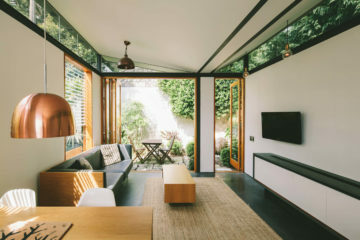 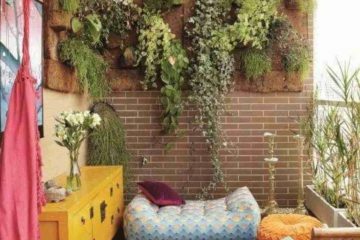 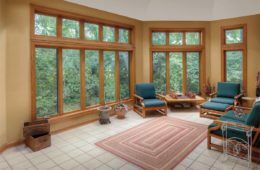 False ceiling light can also be used to furnishings the area. 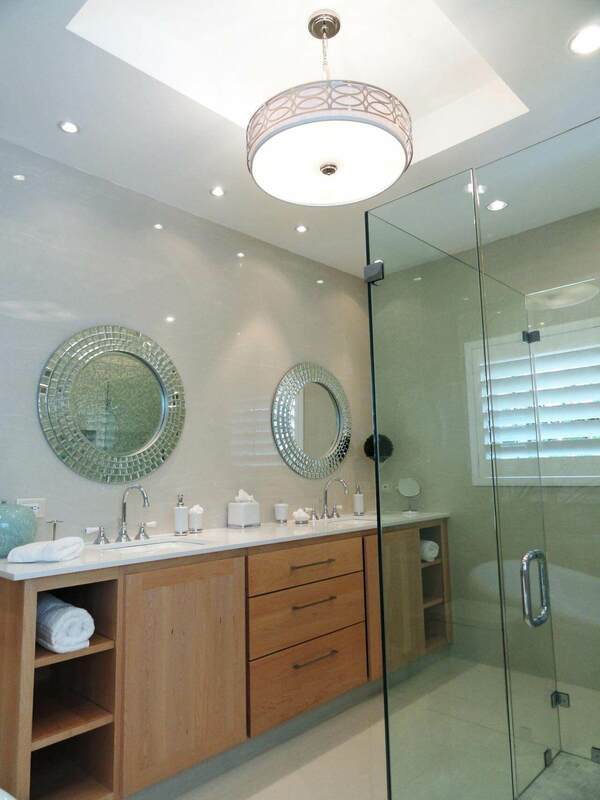 Shells style covered led light are the safest option for shower zone. 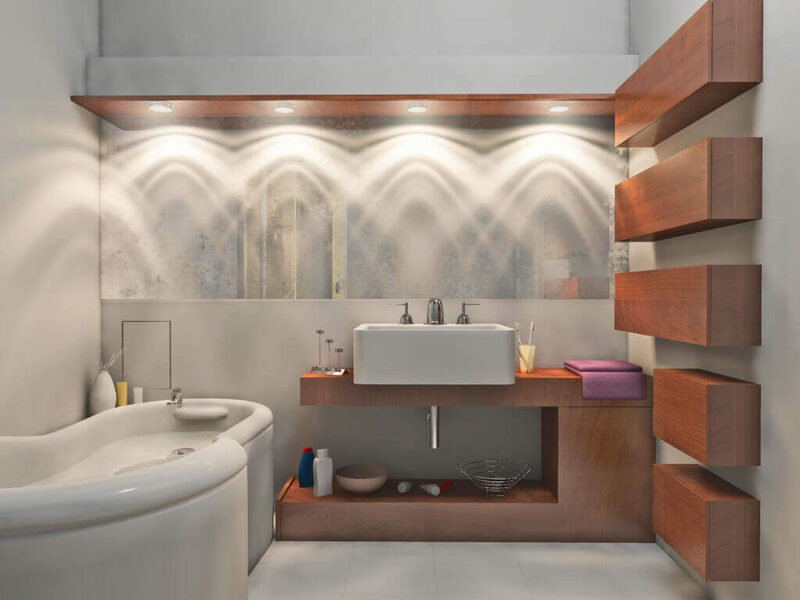 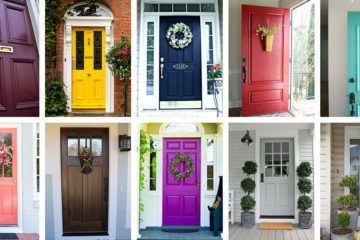 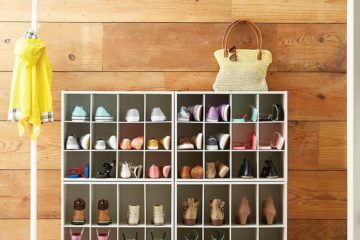 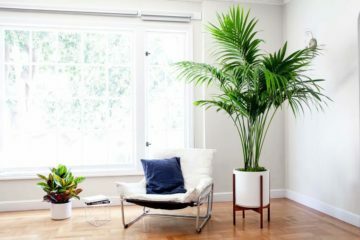 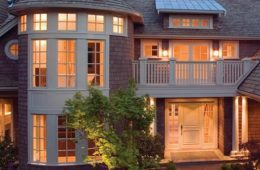 Try multiple switches to light in a different pattern so that you can customize the amount of light as per the requirement. 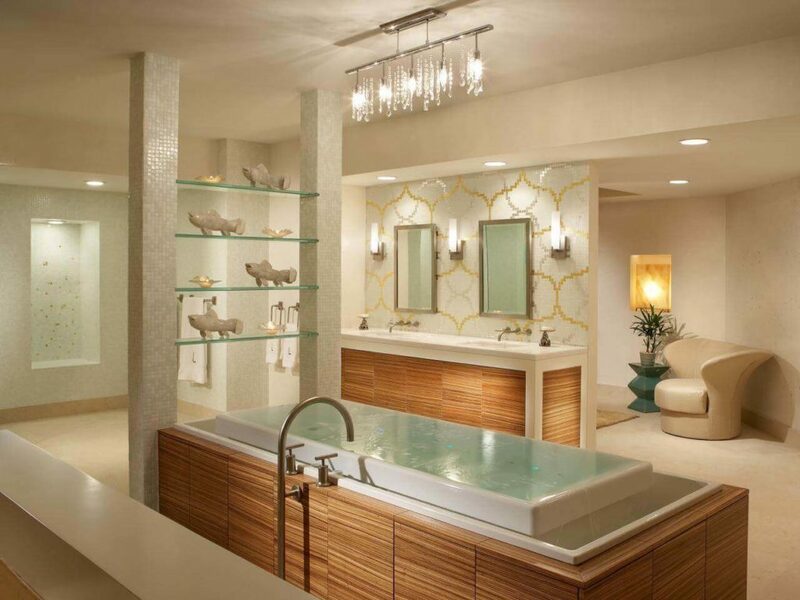 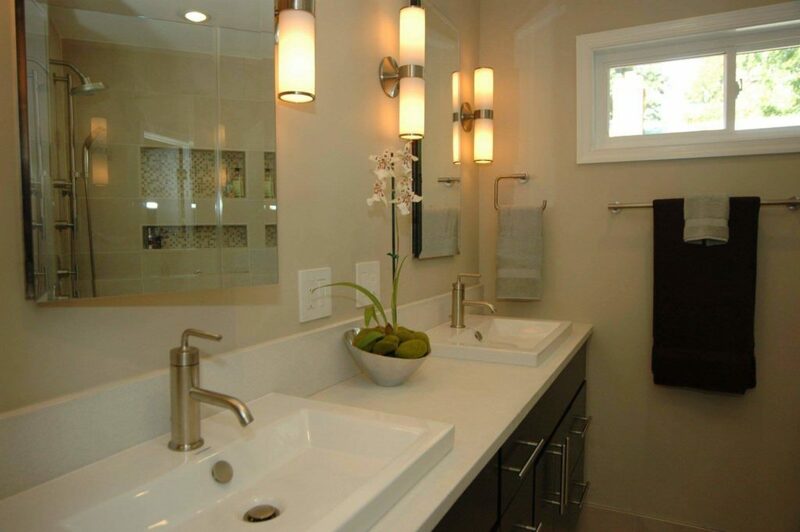 Creative charms can be shown by using crystal Sconces in the luxurious bathroom. 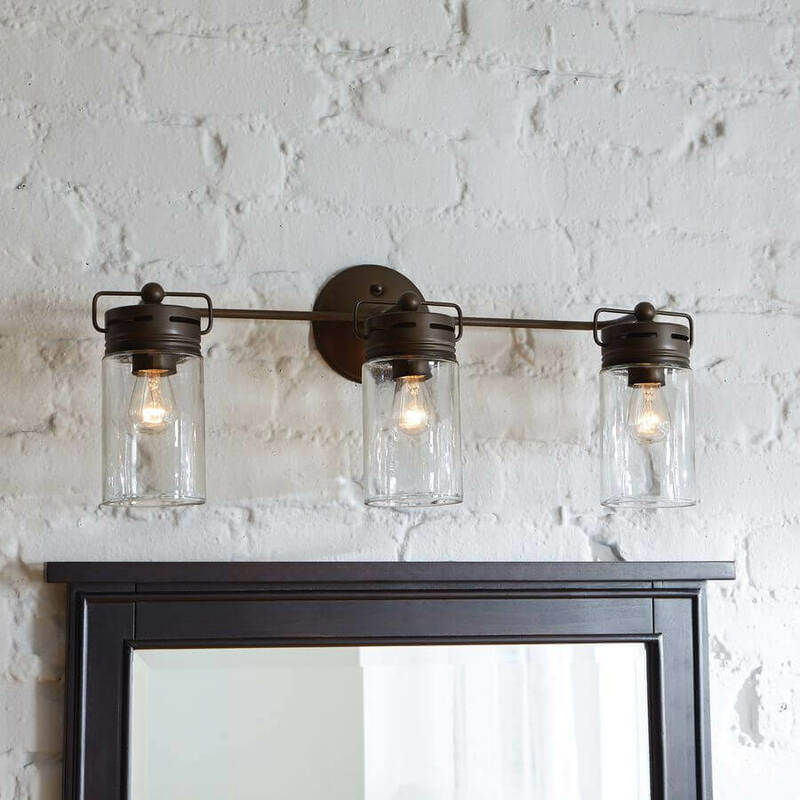 Antique chandelier and old world lantern can be used for creating more drama.